It's one of the leakiest phones of the year, but it looks like BGR has the official specs, courtesy of a well-placed source at Verizon—rumored to be the exclusive carrier for this Android phone. 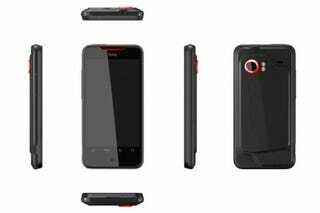 A 3.7-inch WVGA OLED capacitive screen, 1GHz Snapdragon QSG8650 processor and 8MP camera with autofocus and flash place it above both the Nexus One and HTC Desire, and by the looks of things, it'll come with Android 2.1 pre-loaded, slicked with HTC Sense over the top. GPS, Wi-Fi, Bluetooth—it's all there. I'm seriously excited about this handset. If you thought the Desire sounded good after reading my review, the Incredible could blow it out of the water.